It’s 5 phases PWM design, 3 for CPU, 1 for GPU and 1 for MCH. Upper left is 4Pin power in connector. Intel Core i5-3450 default clock is 3.1GHz. 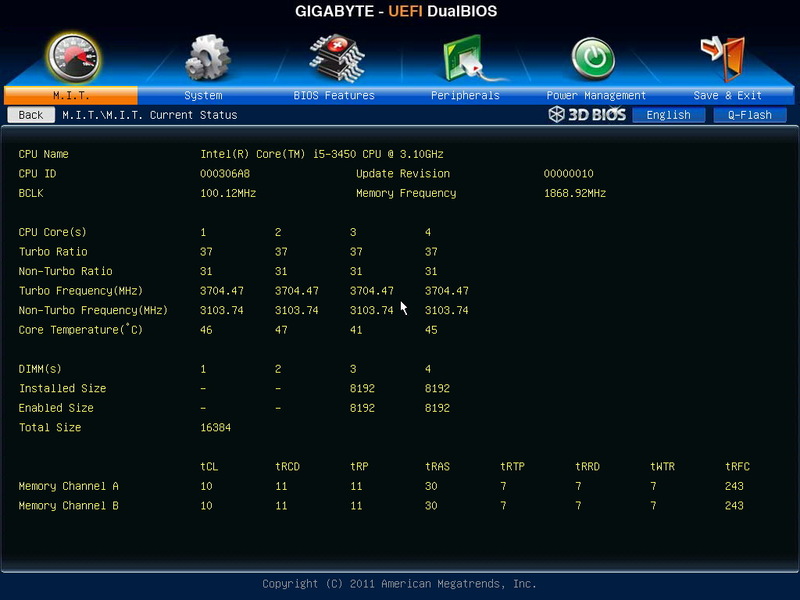 I enable Turbo Boost 2.0 to boost the single core to work at 3.5GHz. 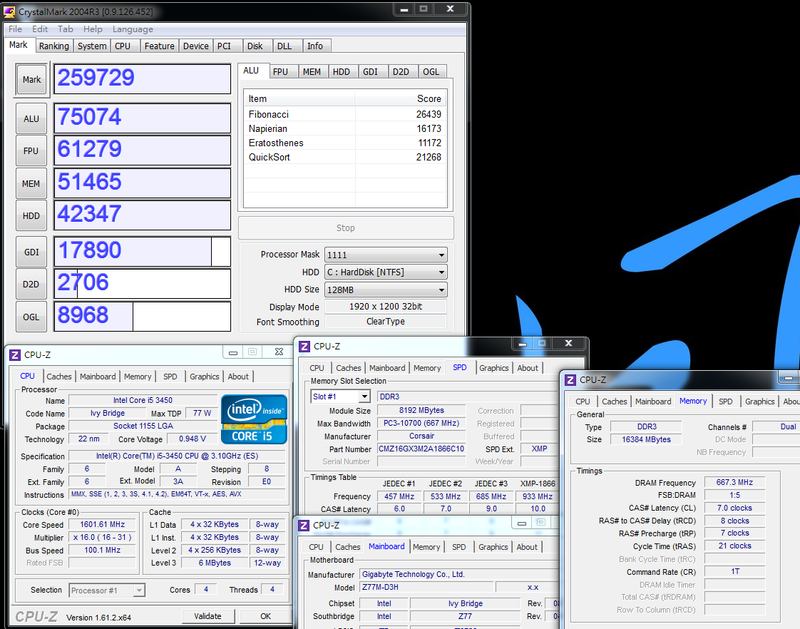 4C4T full speed can reach 3.3GHz. 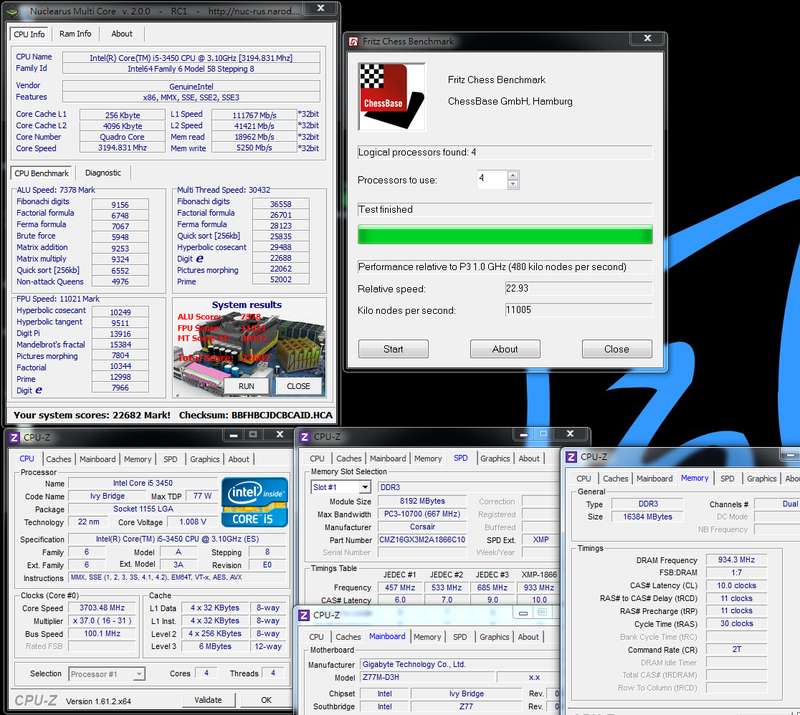 If using same brand H77, the max CPU Clock Ratio is 35. 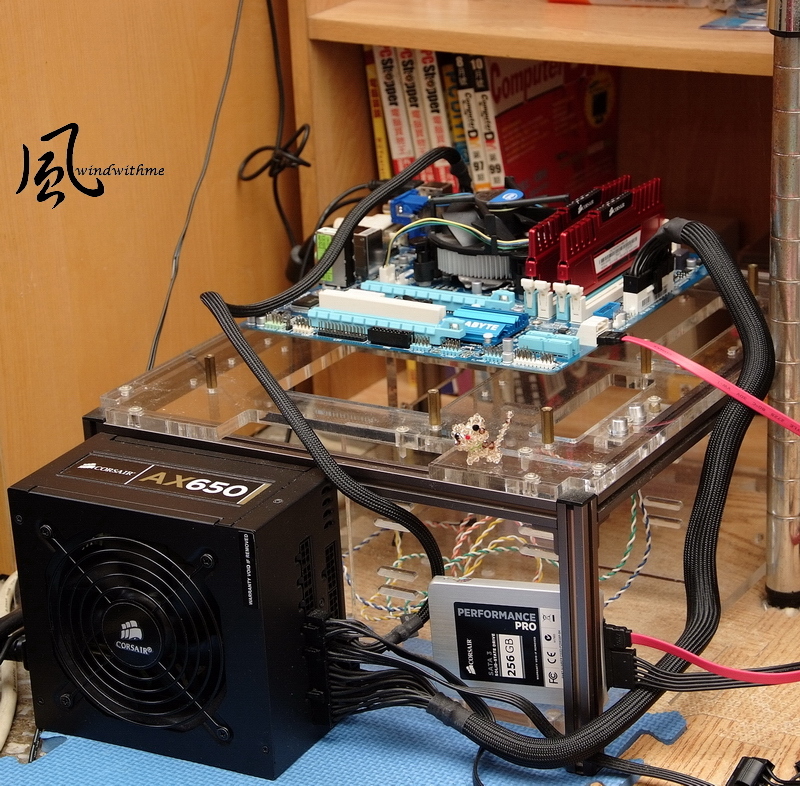 When using Z77, the max CPU Clock Ratio up to 37. That’s why I am using Z77 here. 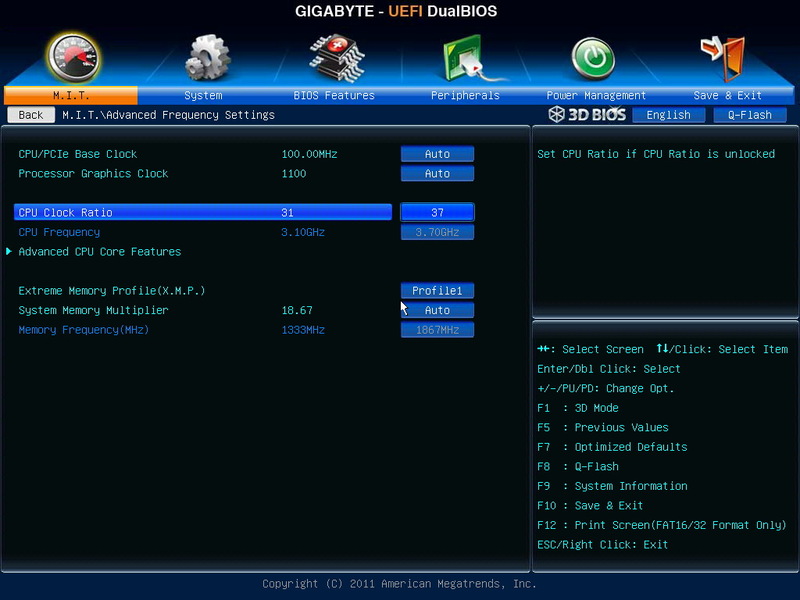 CPU ratio adjusts to 37, disable C1E and EIST, power saving features. 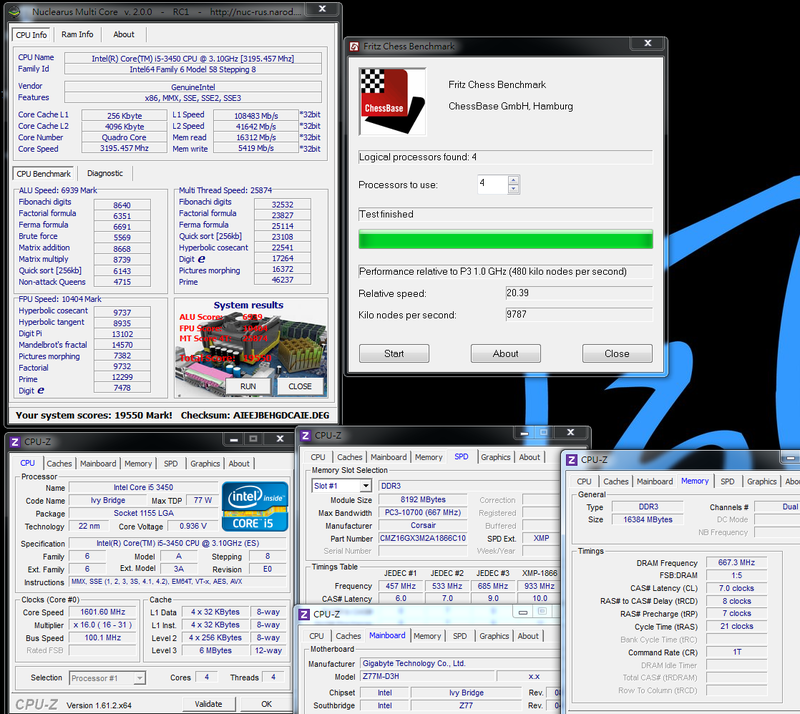 You can set CPU clock at 3.7GHz. The comparison is between default and OC mode. The 1st picture is default. 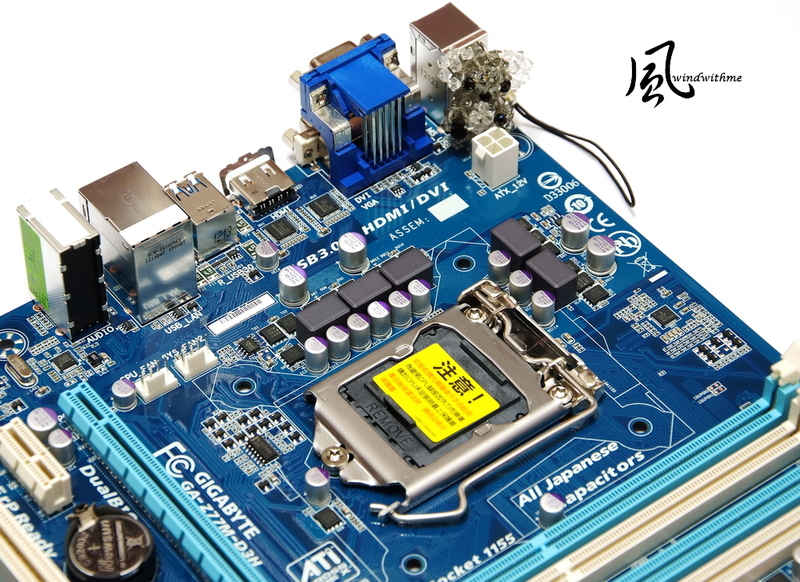 Enable C1E and Turbo Boost, the clock will floating between 1600 to 3500MHz by CPU utilization rate. The 2nd picture is after OC. 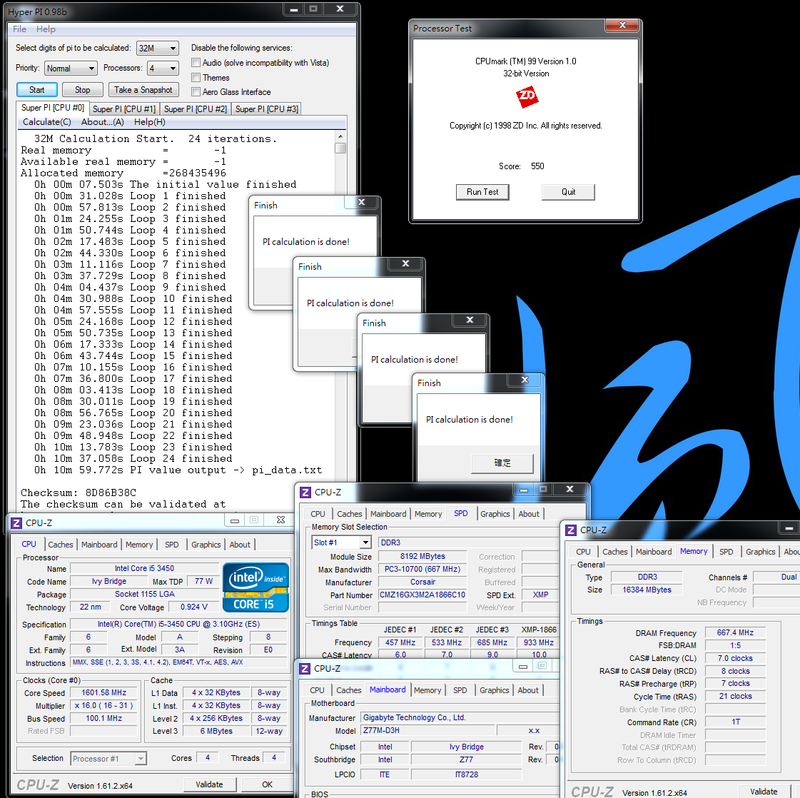 DDR3 1868.6 CL10 11-11-30 2T, enable XMP mode. 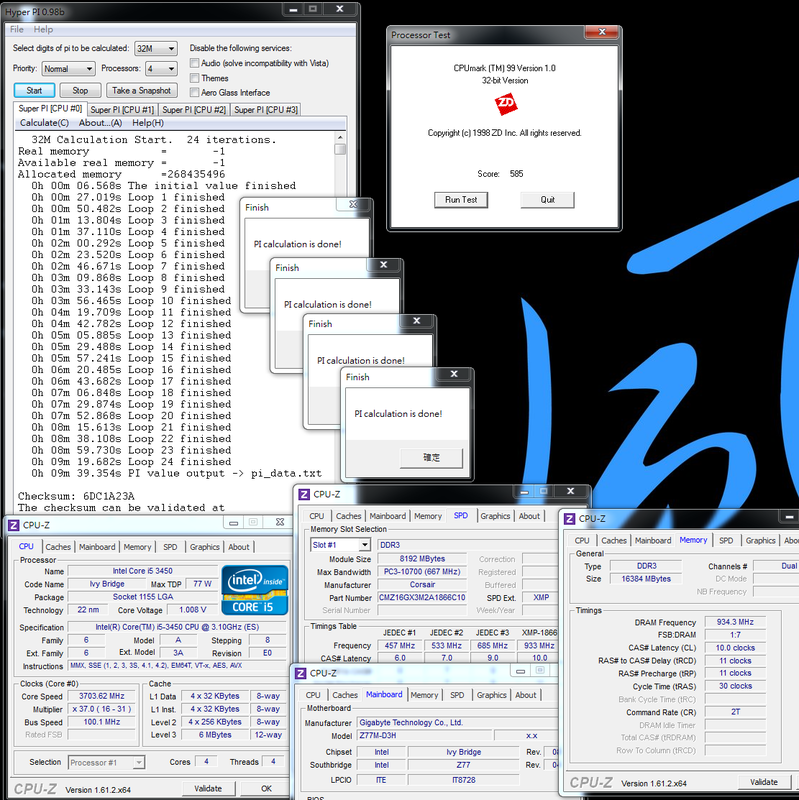 CPUMARK 99 only test single core, so the performance of 3.5GHz and 3.7GHz are similar. Fritz Chess Benchmark only test CPU multi-tasking 4C4T computing capability. The performance increase around 12.5%.